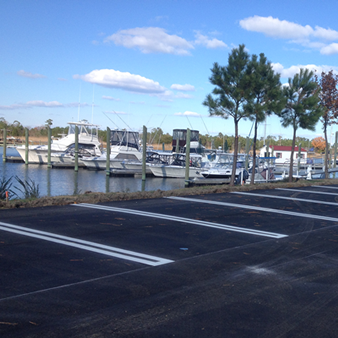 We service the Hampton Roads area with outstanding asphalt services and take pride in customer care. 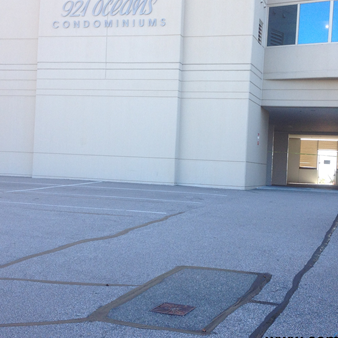 We provide paving maintenance and parking lot repair. Seal coating is the key to a successful pavement maintenance program, and we offer services listed above to meet your needs and budget. Parking Lot Maintenance before and after shots. You are so awesome to take care of this for me. Hopefully this will last longer. I’ll try to be patient next year and not ask that they be done so early. Thanks so much, what an incredible job you did! :-) You’ll have to let me know what areas you cover as I have numerous properties nationwide. I wouldn’t hesitate in a moment in making you my “go to". 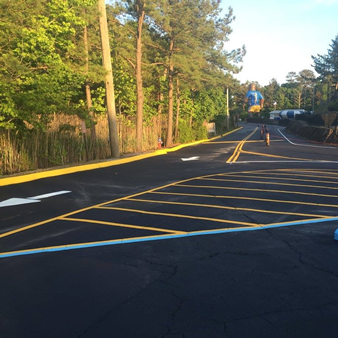 Complete Sealcoat & Striping provided us with a competitive price for our parking lot crack repair, sealcoat, and striping. They showed up on the job exactly when they said they would, and their work was complete and professional. © Copyright 1997-2018. All Rights Reserved.